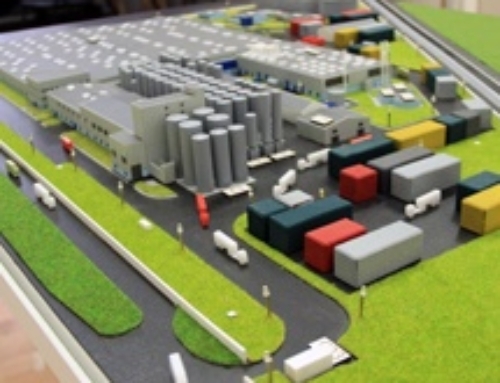 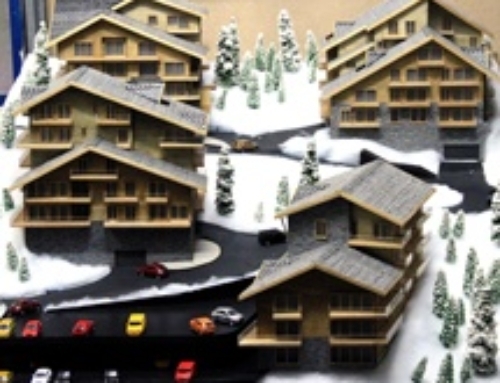 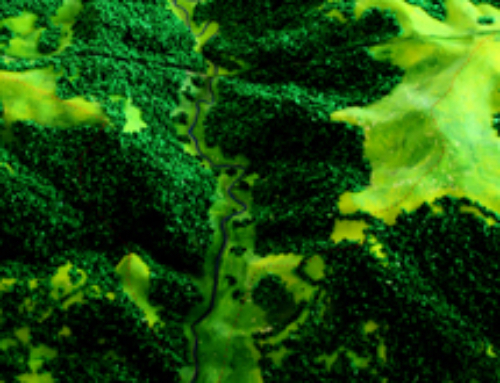 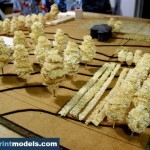 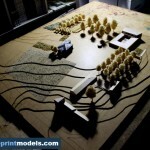 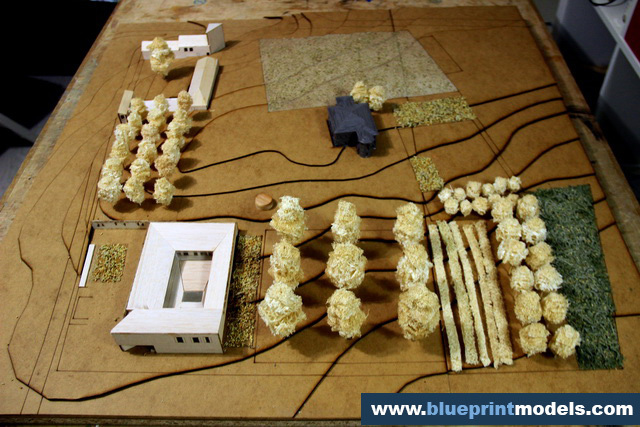 This is a 1:200 (A0 format) topographical model of a hilly area in Romania, completed in 15 days. 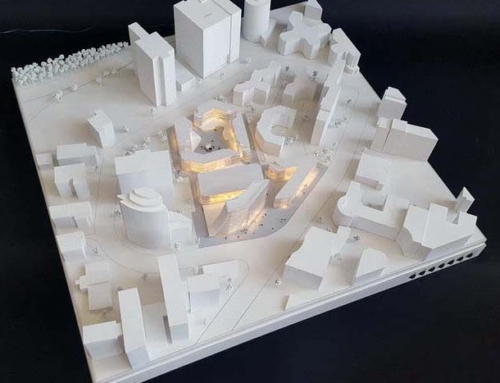 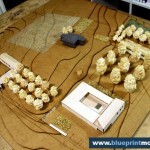 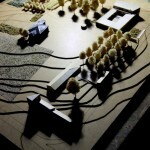 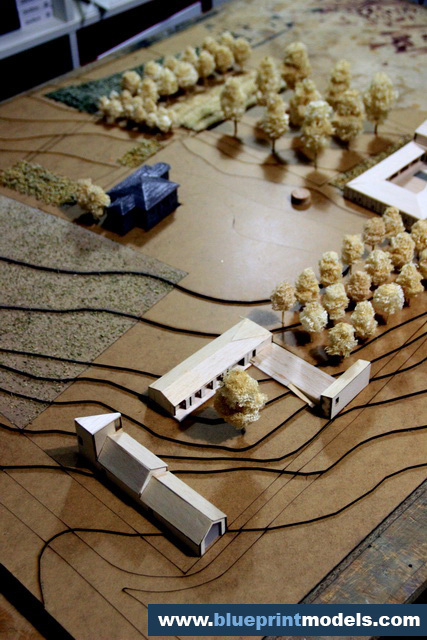 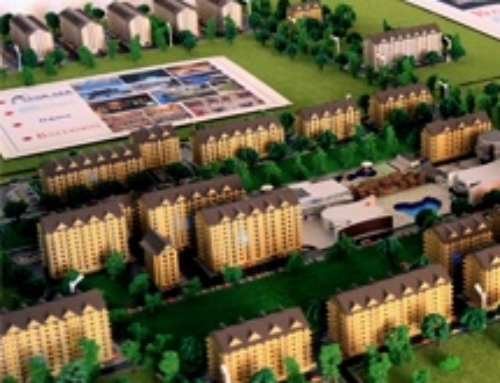 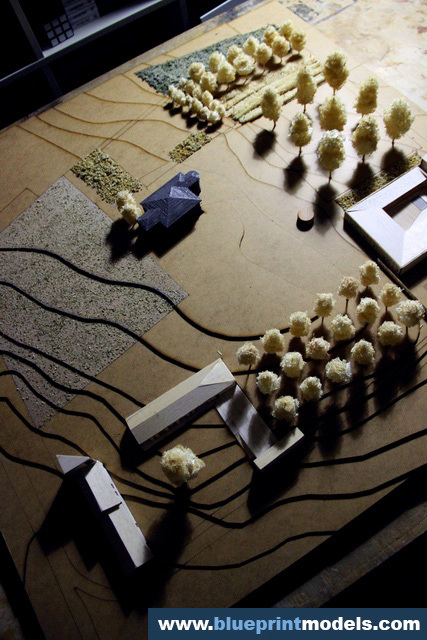 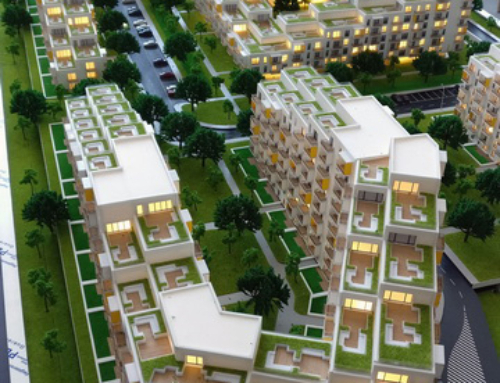 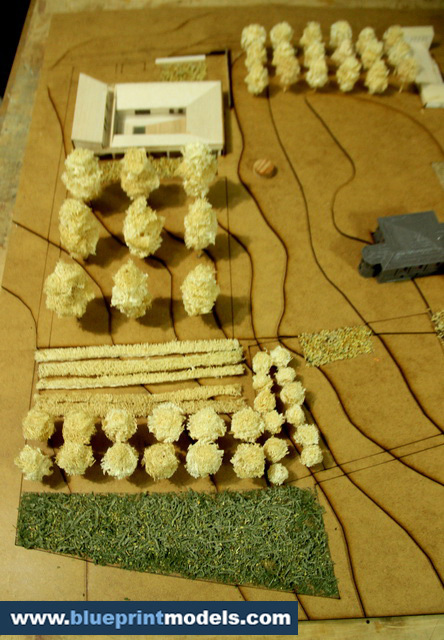 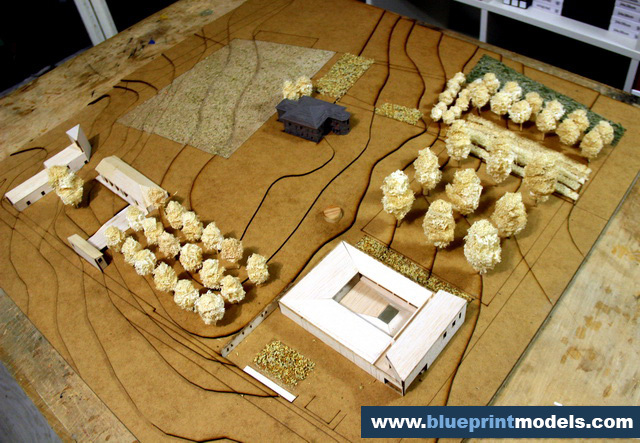 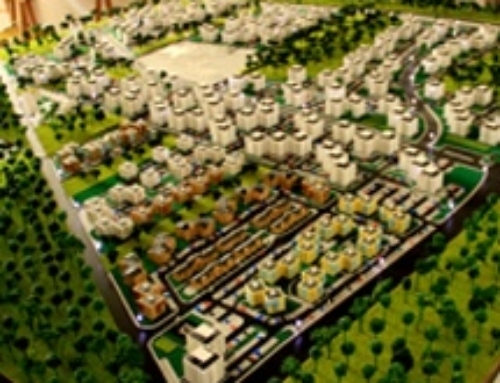 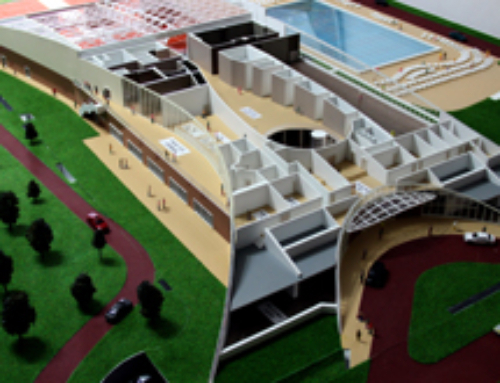 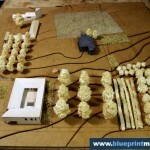 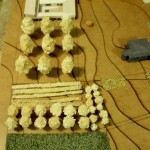 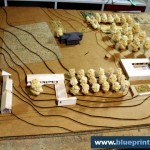 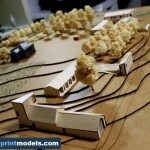 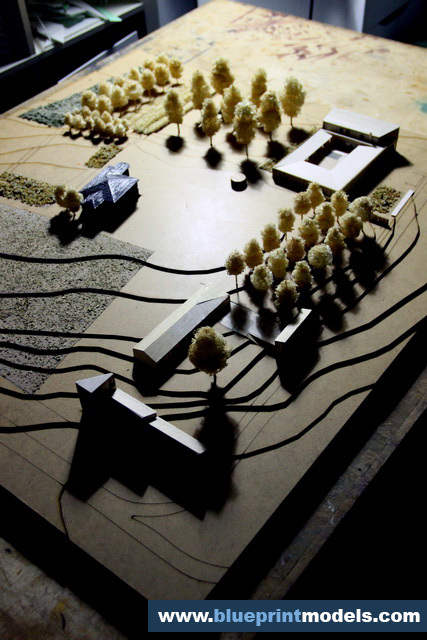 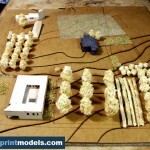 We used loofah, painted in various colours, for the different local flora species, and laser-cut and engraved plain MDF for contour lines.The buildings are made of balsa wood.The villa placed in the centre of the model is the only existing building; the surrounding structures are expansion proposals. 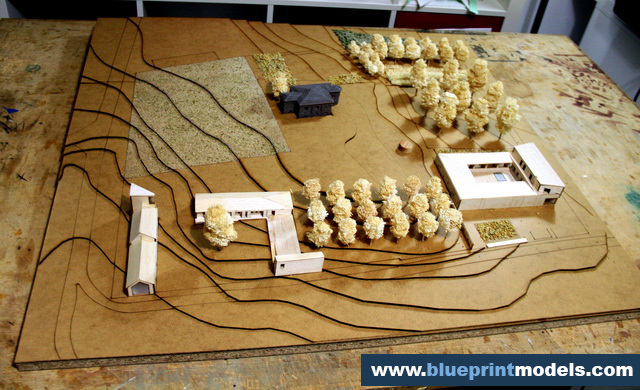 The villa was 3D-printed and blue spray painted.